A stupid but huge mistake from Chilean defender was enough to give Germany the edge today as they saw the Confederation Cup finals out with just a goal. Chilean defender has himself to blame for gifting Germany the first half goal which later become the goal that made the difference in the kinely contested confederation cup finals. To be candid, Head coach Joachim Low was criticised by many after picking an inexperienced squad for the competition in Russia, a decision some derided as disrespectful to the other teams involved. 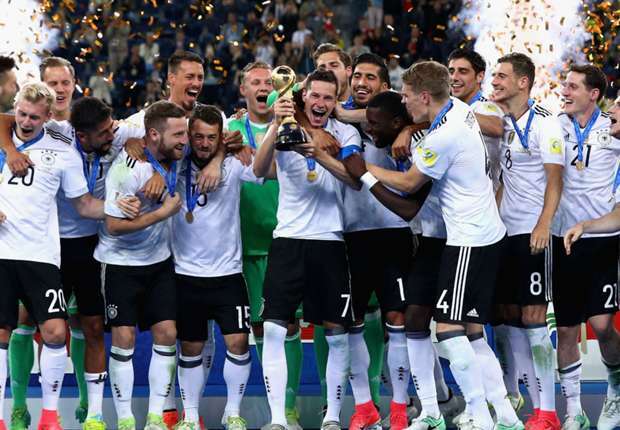 Die Mannschaft proved to be a serious proposition indeed, though, defying their tender years to top Group B, brush aside Mexico 4-1 in the semi-finals and then secure a narrow 1-0 victory over Copa America holders Chile in the decider in St Petersburg on Sunday. 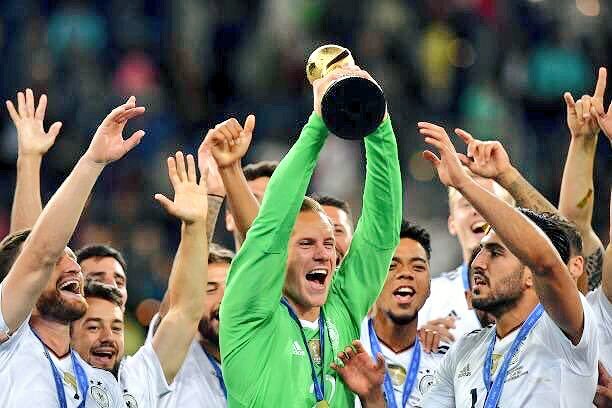 Draxler has reinvigorated his career by leaving Wolfsburg for Paris Saint-Germain in January and the 23-year-old attacking midfielder was named the player of the tournament after captaining his fellow youngsters to glory and pulling the strings in the final third.